TO-251 PG-TO251-3-11 3(4) N-ch MOSFET. TO-252 PG-TO252-3-23 3(4) N-ch MOSFET. TO-263 PG-TO263-3-2 3(4) N-ch MOS FET. TO-252 P-TO252-3-11 3(4) N-ch MOS FET. TO-252 P-TO252-3-23 3(4) N-ch MOS FET. TO-252 P-TO251-3-11 3(4) N-ch MOS FET. TO-252 P-TO251-3-21 3(4) N-ch MOS FET. TO-263 P-TO263-3-2 3(4) N-ch MOS FET. TO-262 P-TO262-3-1 3(4) N-ch MOS FET. TO-220 P-TO220-3-1 3(4) N-ch MOS FET. SOT-23 PG-SOT23 3 Schottky Barrier diode for high speed switching applications. SOT-323 SOT323 3 Schottky Barrier diode for high speed switching applications. SOT-143 SOT143 4 Schottky Barrier diode for high speed switching applications. SOT-23 PG-SOT23 3 N-ch MOS FET. SOT-23 PG-SOT23 3 Switching diode for high speed switching applications. QN0407 IPD70N04S3-07 Infineon - PG-TO252-3-11 3 Power N-ch MOS FET. QN0406 IPD80N04S3-06 Infineon - PG-TO252-3-11 3 Power N-ch MOS FET. QN0404 IPD90N04S3-04 Infineon - PG-TO252-3-11 3 Power N-ch MOS FET. SOT-223 SOT223 4 PNP medium power transistor. SOT-363 SOT363 6 NPN/PNP digita transistor array. SOT-23 PG-SOT23 3 NPN digita transistor. WHs ** BCR108F Infineon - TSFP-3 3 NPN digita transistor. SOT-363 SOT363 6 NPN digita transistor. SOT-323 SOT323 3 NPN digita transistor. WGs ** BCR116F Infineon - TSFP-3 3 NPN digita transistor. WKs ** BCR119F Infineon - TSFP-3 3 NPN digita transistor. WVs ** BCR129F Infineon - TSFP-3 3 NPN digita transistor. SOT-23 PG-SOT23 3 NPN digita transistor array. WCs ** BCR133F Infineon - TSFP-3 3 NPN digita transistor array. SOT-363 SOT363 6 NPN digita transistor array. SOT-323 SOT323 3 NPN digita transistor array. WJs ** BCR135F Infineon - TSFP-3 3 NPN digita transistor array. WEs ** BCR148F Infineon - TSFP-3 3 NPN digita transistor array. WSs ** BCR169F Infineon - TSFP-3 3 NPN digita transistor array. SOT-23 PG-SOT23 3 PNP digita transistor array. WMs ** BCR183F Infineon - TSFP-3 3 PNP digita transistor array. SOT-363 SOT363 6 PNP digita transistor array. WMs ** BCR183U Infineon SC-74 SC74 6 PNP digita transistor array. SOT-323 SOT323 3 PNP digita transistor array. WNs ** BCR185F Infineon - TSFP-3 3 PNP digita transistor array. SOT-23 PG-SOT23 3 PNP digita transistor. 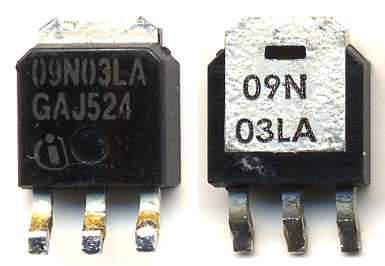 WRs ** BCR198F Infineon - TSFP-3 3 PNP digita transistor. SOT-323 SOT323 3 PNP digita transistor. XGs ** BCR523U Infineon SC-74 SC74 6 NPN digita transistor.